Tasmania is headed for warmer-than-average days and nights over the coming winter months, but Tasmanians and people visiting the state should still have the ubiquitous puffer jacket close by, if the expert predictions are correct. But with “chances greater than 80 per cent” that day and night temperatures will be “less cold” than average, it might be possible to cut down on a layer or two of clothing underneath, climatologist Ian Barnes-Keoghan said. The weather bureau’s official winter outlook for Australia in June to August forecast the season as being slightly wetter than usual for Tasmania, unlike the mainland where winter rainfall is likely to be below average for New South Wales, South Australia, northern Victoria and western parts of Western Australia. Hobart has a slightly increased chance of above-average rainfall, as does the east coast and the midlands. Mr Barnes-Keoghan said while the results of modelling were easier to interpret for the mainland, it was far more difficult to make confident predictions for Tasmania’s winter prospects. He said the “dominant influences” in the Pacific Ocean and Indian Ocean were “sort of sitting neutral at the moment”. “In the absence of those, we’re looking for other things. One of those things does seem to be a decrease in the strength of the westerly winds. That’s likely to be influencing what’s happening over the southern mainland,” he said. Mr Barnes-Keoghan said “where it gets exciting, or complicated, for Tasmania is sometimes that means that you’ll get a low pressure developing in the Tasman Sea and of course that can kick back over us”. On May 10, a storm front brought flooding to much of the greater Hobart area, with the clean-up and recovery taking weeks, expecting to cost more than $20 million. While that weather event broke records for rainfall in a 24-hour period for Hobart, the state’s overall season average was “fairly close to normal”, with dry conditions persisting in the north. Although the idea of a warmer-than-average winter may have some imagining days lounging by the pool, trekking through idyllic bush or frolicking on a pristine beach, it may be best to hold off on packing the swimmers and lightweight tent. 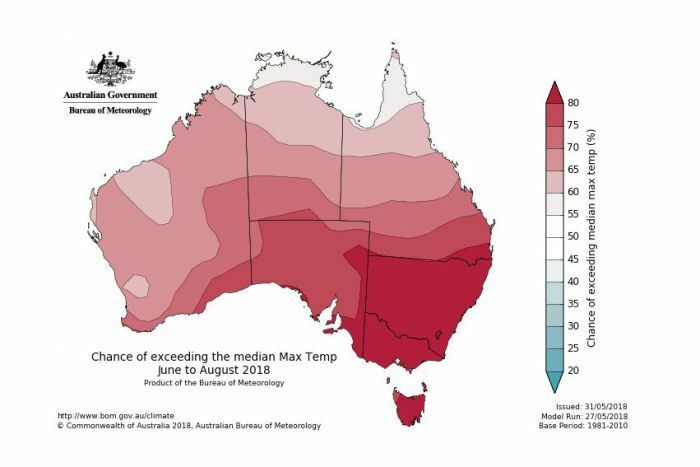 “Even the warmest winters are not especially warm in Tasmania,” Mr Barnes-Keoghan said. Tasmanians should keep an eye on the weather and not be caught out by the conditions which can change quickly, he said. “It is winter, we are going to see cold outbreaks with snow, there’s going to be some frosts, but perhaps temperatures a little bit warmer than is usual for a Tasmanian winter,” he said. With the winter weather to the north of Tasmania forecast to be dominated by strong high-pressure systems, Mr Barnes-Keoghan said that would mean the “main activity” tends to push south, with low pressure systems developing over the Tasman Sea. Mr Barnes-Keoghan cautioned people that even though average temperatures were likely, it “doesn’t rule out the possibility of cold changes coming through unexpectedly”, catching people unawares, as was the case of a father and son bushwalking pair last year, found alive after three nights in freezing temperatures. “Winter is a time when we can have some severe weather, it can be quite cold, quite changeable,” Mr Barnes-Keoghan said. “Be on the lookout for rapid changes that can cause problems for bushwalkers, cause road weather alerts and storm weather warnings.